Is grocery shopping one of those chores you would rather skip each week? Does the thought of having to walk through a grocery store with kids (constantly asking to add items to the cart) give you a migraine? Maybe you just don’t have time to grocery shop because life is too busy or you are just too tired. What if I told you there was an easier way to grocery shop? And you can do it when you have time, right at home while are a relaxed, maybe while you are sitting on the couch watching TV? With more and more local grocery stores are offering online grocery shopping and delivery or in-store pick-up, you might be wondering if you should try online grocery shopping. We have been very busy this week and I have been tired. I tried to get to the grocery store several times, but something would always happen and I didn’t make it. We finally reached the point where we ran out of basics like milk and eggs (my daughter was even Googling egg substitutes for a recipe she wanted to make). I knew it was time to get groceries. Rather than wait another day, I decided to give online grocery shopping a try. Here are my thoughts and review. In the area we live, I know several stores that offer online grocery shopping: Wal-Mart, Target, and Publix. Others might be available, but these are stores I know offer online grocery shopping and delivery in my area. I started by taking a quick review of what you could order, delivery costs and how easy/difficult each site was to use. For this review, I will only be comparing Wal-Mart and Publix because they are the only two I tested. After doing a little testing on both sites, I chose Wal-Mart because their site was easier to use and they charged the same price for online shopping as in the store (according to their website and based on the prices for products I selected this seemed right). With Publix, they offered shopping with Instacart and they charged more for products if you purchased online. When I grocery store in a store, Publix is usually our preferred store. But when I tested their online shopping experience, I found that the website was harder to use and took me longer to find what I needed. This site didn’t seem as intuitive as the Wal-mart site. On the Wal-Mart site, I was able to quickly order the items I needed. In about 10 minutes I had about half of everything I was looking for (and this was a big order a weekly shopping trip for a family of 5). I did quick searches to find the remaining items I needed. Overall, I was done in about 30-40 minutes. I also loved that I could see everything in my cart and the total I had spent. If I wanted to add or remove something it was easy to adjust and not overspend. If I couldn’t remember if we needed something, I could easily go check in the kitchen or pantry and confirm what we were missing. I also got interrupted once and had to come back. All my items were saved and when I had time to finish, I just continued my order. I really liked that I could work on this when I had time and didn’t have to set aside 2 hours to go through a grocery store. I don’t know about you, but when I shop in the grocery store I always see items and buy things I don’t need and shouldn’t buy. Plus, if I have my kids with me, they always ask for extra things I usually say no, but eventually I will give in. With the online order, I focused on exactly what we needed not chips, cookies, ice cream and other food we didn’t need and I didn’t pick up items impulsively, but I did focus on staple items I could use to make quick and easy meals. By not adding all those extra items to my cart (as I do when I am in a store), I am sure I saved $20-$40 with online grocery shopping. Should you do pick-up or delivery? I think both are great options. Wal-Mart and Target offered free pick-up at their store. You place the order online, then set-up a time and pick-up your groceries. They will even load them into your car for you. I love the pick-up at the store option for busy working moms. You can place your order the night before, set a pick-up time on the way home from work and quickly stop and have your groceries loaded into the car for you. You don’t even have to take the kids out of the car. 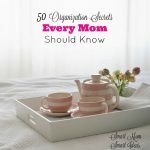 If you are a stay at home mom or just want everything delivered, this is an awesome option too. I was able to choose a delivery time with a 1-hour delivery window. I found in my area the delivery fees ranged from $3.99-$7.95 per order or you could have a monthly unlimited delivery option for $12-14 a month or about $99 a year. Note: prices may vary for delivery in your area. For now, I am just trying the per delivery option (you can check for coupon codes with a quick Google search, search Wal-mart delivery coupon code or similar for your store). Some stores also offered a free trial to test the delivery service, if you do a trial offer remember to either use the service or cancel after your trial ends if you don’t like it. Overall, I found online grocery shopping was quick and easy. Pricing is competitive between the stores, but be careful of mark-ups and hidden fees. You can save money by avoiding impulse buys. Most important for moms, you easily shop at home when you have time, even while watching TV. Have you tried online grocery shopping? What did you think? I literally just placed an order for groceries through Walmart due to reading this post as a reminder of how great it was to use their service. Thank you for reminding me of the delightful advantages of online grocery shopping. Hi Crystal, yes, online grocery shopping is a great time saver (and money saver) for busy moms.